As I have mentioned several times on this site, I like single length irons, both in theory and in practice. The new Cobra set and the Sterling single length are getting plenty of attention, which is great but the most affordable option (and the one I have used myself) seems to be a little more under the radar. I was fortunate enough to get my hands on a test set of the new version of the Pinhawk single length irons from Value Golf and decided to take them for a thorough workout in the simulator. The results were very interesting and should give a lot of food for thought to anyone considering single length irons. 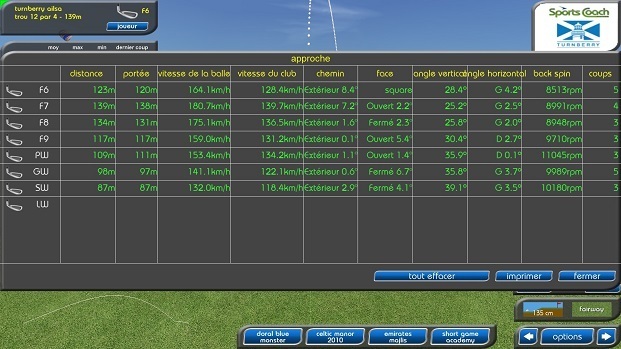 2.2 Do single Length Irons Create Good Distance Gaps? 2.3 Is Clubhead Speed Constant? 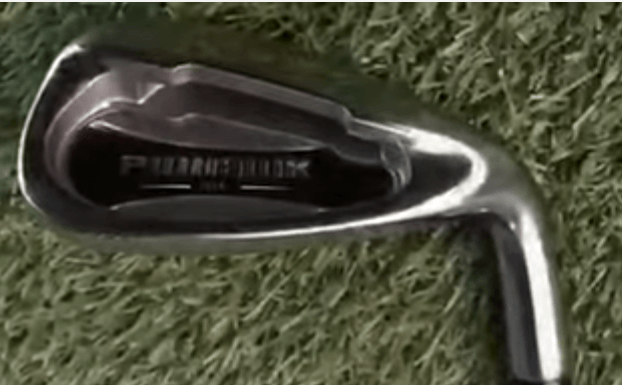 3 How do Longer Irons Perform in a Single Length Set? 4 Single Length Long Irons-A Real Confidence Boost. A little bit about the set itself. One of the real positives of ordering from value golf is the possibility of almost endless customization. This is true for all clubs, not just the pinhawks. I have ordered all sorts of things of the years and as a golf equipment junkie, it is always fun to try out different combinations of shafts and grips without breaking the bank. If you want to put steelfiber shafts and Jumbomax grips on your clubs, you can get that done no problem. Personally, I went for something a little more down to earth. I used FST 115 pro shafts and Avon chamois jumbo grips. Why this combination? A couple of reasons. Firstly, it shows that you can get some very nice upgrades without breaking the bank (this grip/shaft combo would be less than $10 over the base price) and also because I have used both of these before and like them. When testing new clubs, especially single length, I didn’t want anything that could affect the results. I want to know that the specs are right for me and this lets me have more confidence in the numbers. For the build itself, I chose to have all my irons at 37.5 inches long and a lie angle of 64.5 degrees. This is half an inch over the standard length and two degrees upright from standard lie. As you can hopefully see from the photo, this is a nice-looking club head. I have heard concerns that clubs from a component company might be less-well built than those from a big OEM. In some ways this makes me smile. People tend to put a lot of blind faith in the quality control of these big companies when in reality, it can be hugely variable. Much the same way that a sign saying 150 on the course could be a good distance off (thank you rangefinders!) If you ever have the chance to measure things like head weight or actual loft on a set of off the rack clubs, you could be in for a big surprise when comparing them to the listed specs! The specs on these were all well within tolerance. In fact, this is one of the reasons why I wanted Aaron to build the set for me rather than getting just the heads and doing it myself. I do like to mess around with club building, but I know that they will be far better put together by the Value golf team than myself! Here are the listed specs for the pinhawk irons. This makes the entire set basically the same as a standard seven iron. The only thing that is changing from one club to the next is the loft. In the address position, this is a nice-looking clubhead. In my opinion, it sits somewhere in the game improvement category, but really, it should suit most golfers. It certainly isn’t blade-like, with some offset, a medium thick top line and a reasonably-sized head . However, it isn’t like a max game improvement club either. The sole isn’t too chunky but to me looks like it is going to give some help when I am not hitting the middle. The graphics in the cavity are nice enough but honestly, this isn’t something I spend a lot of time looking at. So how do they actually work? For this test, I used the Sports Coach simulator. I tested indoors rather than out for a few reasons. As winter approaches, course conditions aren’t great. It is easier to get distance comparison in a simulator. From experience, the distances given in this set up are actually pretty close to my own on-course results which make this ideal for gap testing. Won’t they all go the same length? The easiest way to show that this just isn’t the case is to let you look at the video below. Before you do, a couple of things to bear in mind. My swing during this test was awful. I was really struggling to get anything consistent going on and this had been the case for a few weeks. Whilst this isn’t ideal for testing, it is actually quite interesting in this case. How much help can single length irons give? I mean, it is all well and good seeing a pro with a powerful, grooved swing smashing every club he tests, but it doesn’t work quite like this for the rest of us does it? To tell you just how poorly I was swinging, before filming I hit a few shots with a one of the most forgiving iron sets anywhere on the market, simply because they happened to be sitting in the hitting bay and I couldn’t resist! My first two shots were shanks, followed by a fairly unpleasant combination of fats, thins, pulls and slices! In fact, I nearly put the pinhawks back in the car and saved this test for another day! When you see the results below, this is worth remembering. As you can see from the video, the answer to the gapping question is, yes, it does work. In fact, given the horrible swings I was putting on the ball, the gapping from sand wedge down to 6 iron probably worked as well as anything I have ever tried. Now obviously these are simulator numbers. however, as I mention in the video, they are pretty close to the numbers that I might see outdoors. The only thing that is probably different are the carry/total numbers. I hit the ball quite high (thanks to 6 ft 6 inches of arms and legs!) and I would expect the ball to carry a little more and roll a little less, but it really doesn’t matter hugely. Taking the total numbers gives a fairly good idea of what an average golfer might expect. You can ignore the six iron number here. This table only includes data down to the seven. So what can we see? Firstly, this pretty much confirms my horrible swing on the day! I am delivering the club all over the place with a nice outside to inside move! Do single Length Irons Create Good Distance Gaps? Despite this, I am getting some solid results. The first column to look at is the second one entitled distance. This shows that the total distance from club to club is pretty much where I would want it. These distances are in meters and if you want to convert, adding about ten percent gives a fair idea of what this would be. If you are lazy, don’t worry, I have done the hard work for you in the table below. This shows the distance in yards for each club as well as the gap from the club below it. Overall, the gaps are fine and the clubs certainly aren’t going the same distance. The obvious discrepancy is the eight iron. The gap of 18 yards from 9 to 8 is pretty big and the 6 yards from 8 to 7 seems too small. However, this is based on only three shots with the eight and for once, I hit three absolutely flush! If we imagine a more average strike going perhaps five or six yards less, suddenly we have a perfect 12 yard gap from 9 to 8 to 7. honestly, I would guess that this would be the case over a larger number of shots and certainly on a better ball-striking day. So gaps at this end of set seem to work out fine. I have gap tested a few sets in simulators and really this is as good as it gets. Although we all like to think that we have exactly 12 yards or whatever between clubs, it really isn’t quite as precise as this. If I have from 90 yards to 155 yards covered by my sand wedge to my seven iron, that makes me pretty happy on the course. The columns that I do find particularly interesting were spin and ball/clubhead speed. Let’s look at clubhead speed first of all. This is the fourth column in the table. Again, this is in kmh, but I will convert to mph. I was swinging the sandwedge at 118.4 kmh which google tells me is something over 73 mph. The seven iron clubhead speed was 139.7 kmh which is around 87 mph. Nothing wrong with these numbers and from experience, 87 mph is about right for a seven iron for me. Most manufacturers tend to use a six iron as their demonstration club and I would expect to be around 90 mph with that, so 87 with one club less is fine, especially in November! So why is this so interesting? Simply because the sandwedge and the seven iron are essentially the same club in this set! They are the same length and the same weight and swingweight so I initially expected to swing them at exactly the same speed. Does this mean that the single length idea has a problem? After all, same club, same swing, right? when I saw the numbers, I had a think about this and actually, it seems perfectly logical to me. The fact that the clubs are the same means it is easier to adjust swing speed. The aim is to groove one swing and means that because everything else is equal, going a little faster or slower is no real problem because it is the only variable that is changing. Actually, I think that if I avoided using other clubs completely for a month or two, I would see this difference in clubhead speed reduce. I don’t think it would disappear completely, but it might come down to a handful of miles an hour difference rather than over a dozen. Either way, it isn’t a problem and really gives me the possibility to manipulate distance and ball flight a little bit by hitting a hard eight or a soft seven, for example. The next column that was really interesting was the the spin. In general terms, a reasonable spin level will be about 1000 times the club number, or a little under. For example, a seven iron might spin at between 6 and 7000. Some of the new distance clubs on the market are getting at least a part of this distance by reducing spin rates. This is also very important for drivers. If your spin rate is too high on a driver, you are going to be leaving distance on the table so a driver fitting will try to get spin rates down. This might make it seem like low spin rates are ideal, however this isn’t the case either. If spin is too low on a driver, you lose distance too because the ball never actually gets up in the air unless you possess the swing speed of Joe Miller! Gaining distance though lower spin in irons is a good way to sell clubs to the unwary. The average golfer sees his irons going ten yards longer with the latest power bats and can’t wait to hand over his credit card! The obvious problem with this logic is simply that irons shouldn’t be maximum distance clubs, they should be precise distance clubs that stop on the other end! If you hit your seven iron ten yard further but it then rolls off the end of the green, what’s the point? The spin numbers I got with the pinhawks are high, sometimes very high. for example, as you can see, I was spinning the seven iron at nearly 9000 revs, which is huge. and the pitching wedge is hitting over 11000! A couple of things here. Firstly, I do spin the ball quite a bit simply because of my swing dynamics. This is reasonably common with taller golfers who might have a more vertical swing and hit a higher ball. Secondly, these are simulator numbers from one (badly-swinging) day. The only downside for me to this spin is if it costs me too much distance. Looking at the numbers, this doesn’t seem to be the case. The upside is fairly obvious. For all the clubs from sandwedge to seven iron, the ball is hitting and stopping as can be seen by comparing carry distance to total distance. For example, my eight iron is going 134 meters and has 131 meters carry distance. For all the other clubs, the ball is finishing within a yard or two forward or back of where it is pitching. Given that these clubs are there for attacking the green, this is ideal. I can confidently set up the same way every time and know that I will hit a certain distance and the ball should stay there. And remember, this certainly wasn’t on a stellar ball-striking day. Now if I were really looking to dial these results in, I would probably play with a few different shaft options and try to hit the sweet spot between distance and spin a little better. The beauty of Value golf is that there are many options to do this and Aaron, the owner, is a helpful guy who will be able to point you in the right direction. How do Longer Irons Perform in a Single Length Set? So far then, the pinhawks have ticked a lot of boxes. They look good, are easy to hit, forgiving on off-center strikes and gapping is excellent. What happens when we look at the other end of the set? Results for the 4,5 and 6 iron are actually a little surprising. This is where things get interesting. As I said in the video, for some reason, I struggled more with the 6 iron than any other club in the set. By this stage, my swing had well and truly fallen apart, so there is probably at least one explanation right there. However, I actually had to get rid of perhaps three shots from the results with the six iron simply because they were such poor shots that they skewed the figures. Mind you, I could have had anything from blades to shovels in my hand at this point and still been rubbish! This is strange because really, this should be the most intuitive clubs to hit. After all, 37.5 inches is a standard six iron length in many sets. Again, the only explanation I have is that my swing was falling apart at this point. In the end, I actually included a couple of fairly poor strikes anyway which shows in the numbers. The gapping seems to work out pretty well, at least at first glance. 144m (about 160 yards) for a six iron up to 176 (195 yards or so) for the four iron. Honestly though, I simply didn’t hit enough shots and certainly enough decent shots to draw any worthwhile conclusions from this. As you can see, that four iron number has about 25 yards of roll and even the six iron has ten yards or so. The six is also really not doing much more distance wise than the seven. Spin numbers are a little high, but nothing extraordinary. Once more, club head speed is variable, going from about 135 kmh (84mph) to 145 (90mph) from 6 iron to 4 iron. when I looked a these numbers, I realized that it was probably time to call it a day. I took a little break after hitting sand to 7 iron, and the results clearly show that I never really got back to hitting it properly. I am swinging the seven iron more slowly than the six, my swing path is all over the place and the results show this. Once again, it is the Indian, not the arrow. This might have been a concern, but fortunately, I had another test session as a comparison. I spent an hour or so hitting the pinhawks a couple of days before this test so that I wouldn’t be recording numbers as I tried them for the first time. I spent a more time hitting the long irons here because that was the part of the set that interested me the most and I found distance gaps that were pretty much in line with what the test results showed for the rest of the set. as before, my swing speed did increase through the set too. Single Length Long Irons-A Real Confidence Boost. What was very obvious was the feeling of confidence that you get from a shorter four or five iron. I don’t know about you, but as an average golfer, I don’t expect too much out of my four iron. I can certainly hit it, but puring a baby draw 200 yards down the middle or flag hunting on a long par three are the exception rather than the rule. Sure, it happens, but if it is more or less on line and a reasonable distance most of the time I am happy. Sitting this four iron behind the ball is a different feeling altogether. It feels easy to hit (which is the point.) Even when I was swinging badly, I was getting results that I didn’t deserve. This is partly down to the forgiveness on the club head which is certainly there, but an inch or two off the shaft length makes a huge difference mentally. How I feel about a club is very important for me (and for most golfers) so feeling that I should get a good result goes a long way towards making it happen. I think the four iron could be particularly good as a fairway finder off the tee on a tight par four and certainly more consistent than hitting a fairway wood for most of us. So all in all, this looks like a winner. You might be wondering if there was anything I didn’t like. I said in the video that if I were to order again, I would change one thing and that is to swop the longer irons for hybrids. I have long since got over the idea that I have to play long irons and am happy to put hybrids in the bag instead. In fact, I have done pretty well with hybrids all the way up to a six iron and I think that many golfers would do well to ditch their egos and do the same thing. Hybrids allow for a higher launch and more distance even at lower clubhead speeds. Without hitting pro levels, 87mph on these results with a seven iron gives me above average speed, but I think I would do better with a hybrid in place of at least the four iron. Whilst there are some great hybrids on the market, it seems a shame to lose the advantage of single length by playing something that doesn’t match the set. Fortunately, there is now a complete hybrid set that actually has the same specs as the irons. now you might not want to go all the way to a hybrid lob wedge (although it would be fun to try) but for me, I think putting the four and five hybrid (and maybe even the six) would be a smart move. Hopefully at some point in the near future, I will get my hands on these hybrids and we’ll see how they match up against the long irons. The question you might be asking if you are looking at single length sets is which one should I get? Currently, apart from the pinhawks, the two other main options out there are the Cobra and Sterling. Now, I haven’t as yet tested either one so I can’t tell you just how good or bad they may be. However, it might be worth thinking about just exactly what you get for your money. Getting a set of these is going to cost abut half of what you will pay for either of the other options. I have no vested interest in getting you in the pinhawks-I won’t earn commission if you do decide to give them a try, for example. However, I do know a thing or two about clubs and marketing. Whilst a brand like Cobra has a significant marketing budget and without doubt produces quality products, the reality is that most clubheads are made in the same factories in China with the same manufacturing tolerances, materials and technology. The shafts and grips that you are getting are the same as you find here. In fact, you can get your components hand-picked to find matching weights, lies etc if you are that sensitive to these details (I am not.) Ultimately, when you buy from a major manufacturer, you are paying a reasonably high percentage of what it costs for advertising and player endorsement. There is nothing wrong with this and in fact it is part of what makes the golf equipment industry work (or not), but it doesn’t make a $100 club twice as good as a $50 one. Have you tried the pinhawks? Maybe you are sitting on the fence and reluctant to drop $1000 into one of the other sets out there. If you have any questions please leave a comment below and I’ll be happy to answer. What is the Best Golf Laser Rangefinder-updated for 2018? The Swingbyte 2-the Perfect Swing Solution? The Net Return: The Ultimate Golf Home Practice Aid? Thanks Richard. Interesting question, and one I asked myself when I got my first set of pinhawks a few years ago. The short answer is no, you can’t adjust lie on these. However, it really doesn’t matter that much. This is mainly because of the shape of the sole on a hybrid which means that lie angle becomes somewhat less important, especially when we are only talking about 2°. If you really want to get them slightly more upright, you can ask valuegolf to handpick your heads to be as upright as possible. Tell Aaron at Valuegolf that I sent you, he is a really good guy and will do his best to get you the right fit. If you do decide to take the plunge, I would love to hear back and see how you get on. I built a set of Pinhawks a few years ago before the Bryson Dechambeau craze. I used them about 2 months before selling them. I found that I did not have a high enough swing speed(unlike) you to get the 5 iron high enough to hold greens. I don’t have this problem with my other set(TM Burner plus). So I think the SL approach might actually work better for “better”(and younger) golfers. Also, 1 Iron Golf has been making single length clubs since 1997 and claims to have sold thousands, so Cobra, Wishon and Pin Hawk are not the only game in town. Also, it appears that Integra is selling a single length head. You are right, there certainly have been other single length iron sets out there and a few more a coming out now. For example, Tim at myostrichgolf (now out of business) sold a set called, I think, purefit, which were good because he really understood the concept. Unfortunately, there are certainly a few companies throwing sets out that don’t really understand it and they are trying to make a fast buck on the back of the current popularity. I haven’t tried 1irongolf myself, but have spoken to a few golfers who have-some delighted, some not so much. It seems strange to me that one shaft option should fit everyone and David Lake (the owner of 1iron) has posted a few things on internet forums that seem a little strange. I actually agree about the swing speed part. SL is often sold as a beginner/slower swing speed solution whereas I think it works better with a little more clubhead speed. I should have some hybrids coming from Aaron at valuegolf to test at some point and I think for most golfers, using a lofted fairway wood, 5, 6 SL hybrids and then 7 onwards SL is probably the smart choice. Hi. I have been selling and fitting Pinhawk now for about a year after shoulder problems. I found for me 37.5 ins good for me. 4 hybrid 5iron to sw. The best results for me were by soft tipping my 5 and 6 irons. I am 64 and play off 10 hcap. I also made 3,5 and 7 wood all 41.5 ins and worked great. This was prior to aaron releasing the woods. I haven’t tried altering shaft flex through a single length set, but I think it is an interesting idea. a few different companies seem to be doing this now in both single length and standard sets using ‘flighted’ or ‘ascending weight’ shafts. I believe the paderson shafts used in the Edel single length set are offered in various bend profiles that can be combined in order to really fine-tune the custom-fitting. These are out of my budget unfortunately! Swing Speed and Distance:How Far do You Hit Your Clubs? Single Length Irons: Do they Really Work?